The first thing when it comes to firearms is how to buy one. No permit is required to buy a handgun in Georgia. However, there are a few additional steps beyond showing up to your local gun store and walking out with a brand new firearm. If you’re buying the handgun from a local gun store or dealer, the seller will also have to conduct an instant background check. Like any law, of course, there are always exceptions. You can skip the background check if you have a carry permit, or you are purchasing a firearm that qualifies as an antique or replica, curio, or relic, as defined by the ATF. Be valuable primarily because the firearm is novel, rare, bizarre, or are associated with some historical figure, time period, or event (i.e. Davy Crockett’s Old Betsy!). Sound easy enough? There’s more. If you purchase a firearm from someone who is not a licensed firearms dealer, then it qualifies as a private sale. With a private sale, no background check is required, and you can trade just as you would any other piece of property you own, as long as you are not ineligible to possess a firearm. Attending a firearms safety course. Most importantly, anyone convicted of a forcible crime or adjudicated delinquent for an offense constituting a forcible crime cannot possess a handgun. Let’s not forget about long guns! Who doesn’t love their AR-15s, shotguns, precision rifles, and everything in between! Fortunately, purchasing a long gun is even easier than buying a handgun. Just like with handguns, no permit is required to buy a long gun, and a background check is required if purchasing from a firearms dealer. There also isn’t a minimum age for possession of long guns, so you do not need to wait until you are 18 to purchase your first long gun! Since there is no minimum age requirement to possess a long gun, none of the other restrictions on handguns apply to long guns either. Once you have your gun, what can you do with it? 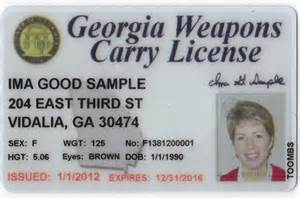 The interesting thing about Georgia gun laws is that as long as you are legally permitted to possess the firearm, you can have and carry the weapon on your property, inside your home, motor vehicle, or place of business without a carry license. So why bother getting a carry license then? A carry license is primarily for those of us that want to carry loaded and accessible handguns. A handgun may be carried without a permit if it is enclosed in a case and unloaded. This is great for transporting your handgun, but practically useless in a self-defense scenario. For those of you interested in learning more about how and where you can carry your handgun, we’ve dedicated a separate page all about handgun carry laws. Everyone else? Here’s the quick summary without the nitty-gritty details. A carry license would allow you to carry a weapon in parks, historic sites, recreational areas, including buildings on those parks, historic sites, and recreational areas, as long as carrying a handgun in that area is not prohibited by federal law. 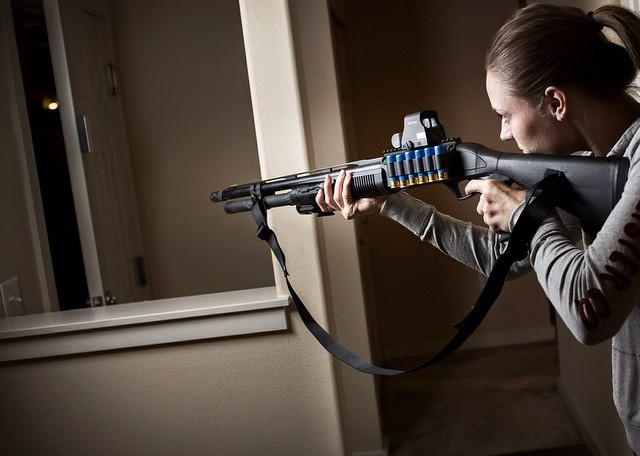 A long gun may be carried without a permit as long as it is openly carried and fully exposed, when the gun is loaded. That’s it. When can I use my gun to defend myself? Georgia follows both the “Stand Your Ground” doctrine as well as the “Castle Doctrine.” You do not have a duty to retreat before using force (including deadly force) to defend yourself or others, to defend your house, or to defend your property. With that being said, always use your best judgement to decide what type of force is appropriate to defend yourself. Just because you do not have a duty to retreat does not mean you must use deadly force in every situation. Where do I register my new firearm? Nowhere! 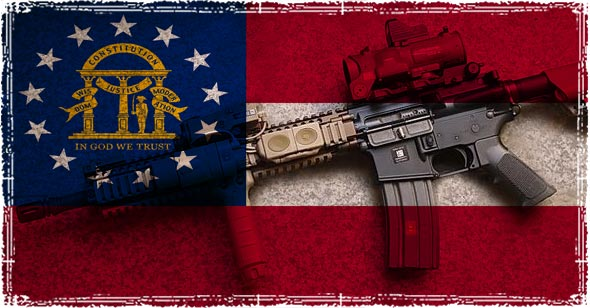 The State of Georgia is fortunately not one of the many states that requires registration of firearms. As easy as it is to purchase a firearm in Georgia, you still need to have somewhere to put it at night. 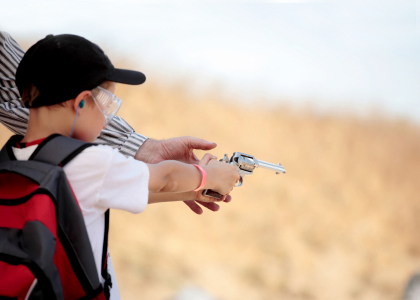 The only legal requirement regarding storage of a firearm is that you need to make reasonable efforts to prevent someone under 18 from getting access to a handgun. But having paid for a brand new range toy, it wouldn’t hurt to put it in a nice safe to keep it from being stolen. 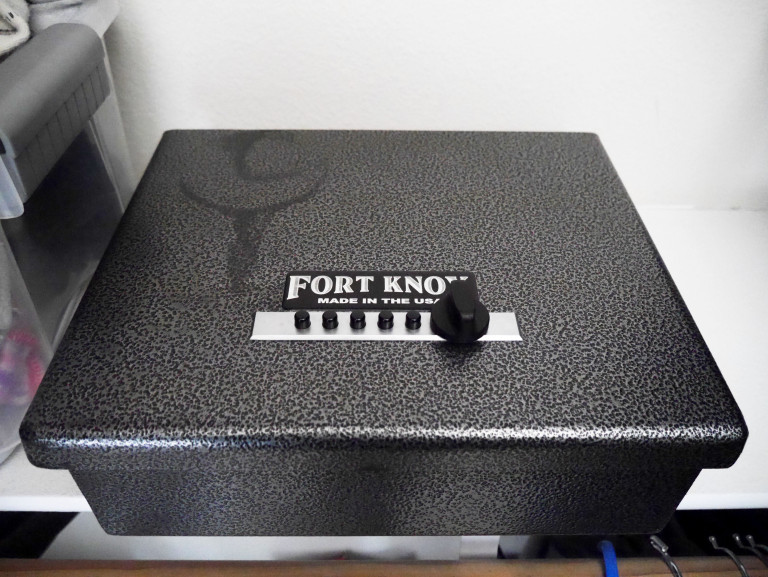 These types of safes are usually a pretty good value for what you get, and don’t break the bank. If a full size safe is too large for your living area or just your budget, a gun cabinet can be had for under $100. Finally, for those of you that only need to keep a couple handguns secure, a handgun safe is all you need. You’ve now got enough information to go out and (legally) buy the handgun/long gun of your dreams and carry with confidence! Go forth and pew pew!